Want to win that 5 star rated scope? How about those binoculars that the magazines are always raving about? Well, here is your chance to get the gear without feeling that wallet getting lighter! This season we are giving away Gift Cards that will help you win massive amounts of store credit. And if you win those gift cards, turn those dreams of a new scope or binocular into reality! Don't miss out on this chance to WIN by joining our newsletter campaign. NO PURCHASE NECESSARY to enter the contest. 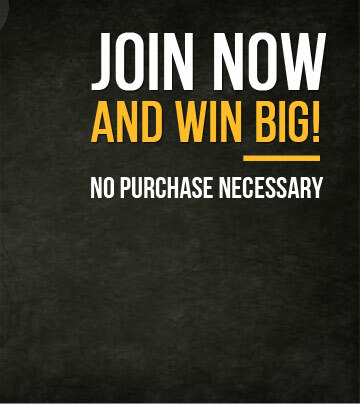 Join now and WIN BIG! Subscribe to our newsletter and wait for the next issue to reach your mailbox! 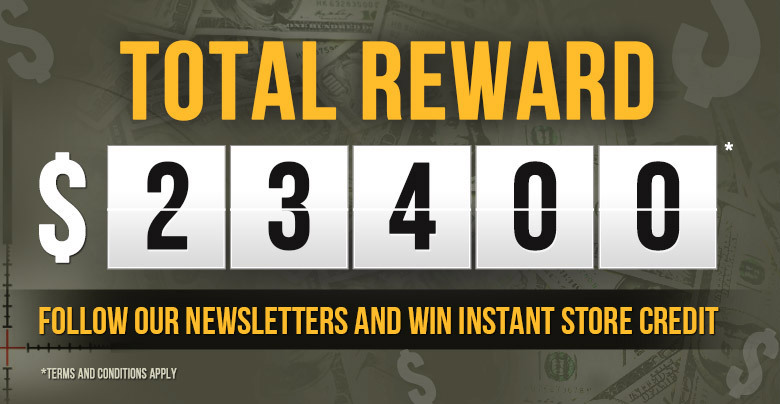 Once you receive the newsletter, check out the cool offers and hit the "Click to Win" button right below the top event banner section. You will be redirected to our website for the result. The winner will find a ‘Congratulation’ message. If you are NOT the winner, you can try for the next round and WIN BIG! The winner will be selected randomly by the system. Winner can redeem his/ her ‘prize money’ by placing order of the same value or more at Scopelist.com. The remaining balance must be paid through Scopelist accepted payment methods. After the winner claims his/ her winning prize by phone/ email - all the other offers and discounts will be deemed invalid while redeeming the Gift Card. A minimum shipping charges may be applicable on orders below $500, on clearance and sale items. Also, International shipping would not be covered by the winning. Winning Prize is neither transferable nor divisible for multiple orders. It cannot be exchanged for a cash value of the same amount. Announcement of the winner’s name is at the sole discretion of Scopelist.com. Scopelist holds the exclusive rights to extend, delay or cancel the contest with/ without prior notice. If the winner does not claim the prize money within the offer period, the offer will stand void. He/ she will not have any right to claim the prize money after the stipulated time. The offer deadline is announced in each newsletter. The amount of the Gift Card will be automatically added to the next issue of Scopelist newsletter and a new winner will be declared. Any business, affiliates, channel partner or personnel associated with Scopelist is not eligible for this contest. In case of multiple winners, prize amount will be divided equally to all claimed winners. By subscribing to the Scopelist Newsletter Mailing List or partaking in the contest, you agree upon the contest rules, and the terms & conditions mentioned here. Fresh list of winners will be prepared every month. The schedule of preparing new winners list may change anytime without any prior notice.